Welcome to our last installment of North v. South style for the fall/winter trends! 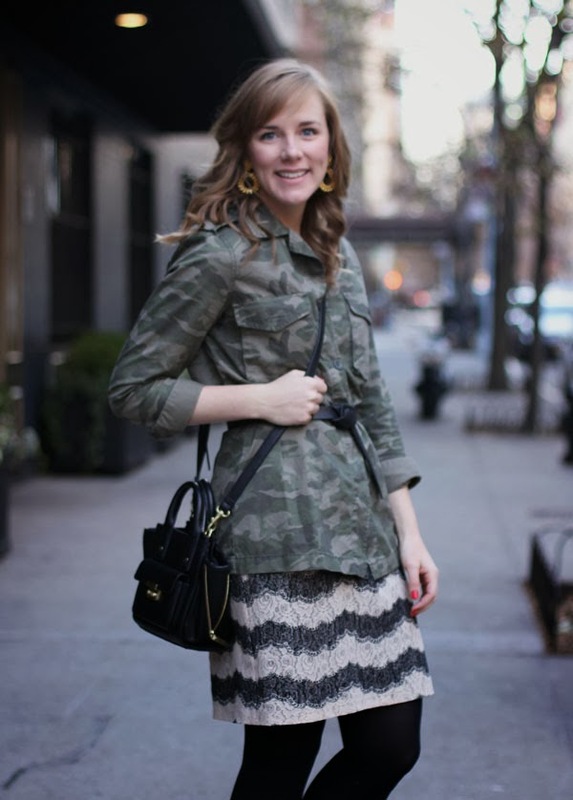 Today we're all showing you how to style your lace pieces for fall. I chose a new lace dress and a light jacket (because oddly enough it was close to 50 degrees last weekend) to keep things casual. 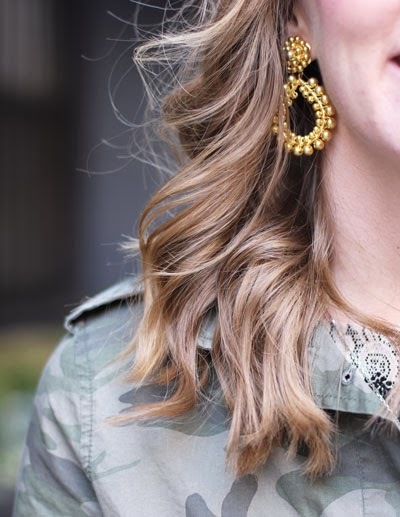 Also, really exciting news - we've teamed up with Lisi Lerch to giveaway a pair of the Margo earrings! The contest is open until next Friday - good luck! 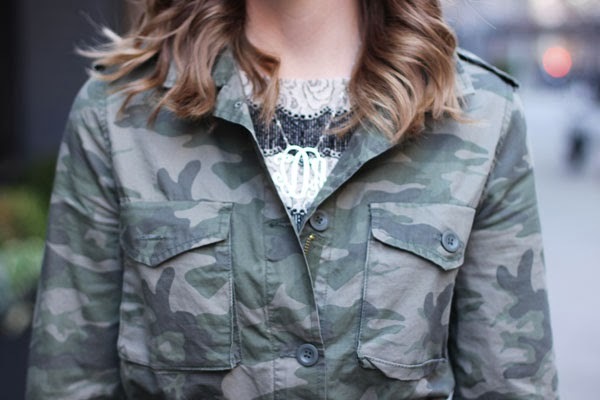 Love the lace dress with the camo jacket. What a great combo!